BABY clocks in an impressive Rs 9.3 Cr on opening Friday with solid growth in evening and night shows. Superlative word of mouth and reports and great start to a non-conventional film with no songs. Distributors estimate a good jump day on day through the long weekend, leading to a strong outing at the Box Office!! 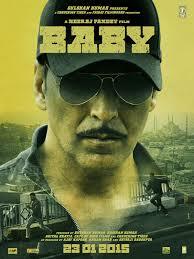 The first look poster of BABY had Akshay Kumar in an action avatar, a heavy imagery and unusual title, which set the tone of the movie and generated curiosity value. The Teaser had already made BABY count amongst the most-talked about films on social media platforms. The teaser, aptly titled ‘Baby Sizzle’ went viral in just a few minutes from launch. Seeing the excitement for the launch of the first look by fans, Akshay Kumar himself tweeted the teaser of the movie. Akshay Kumar as we all are aware has several fan clubs pan India and across the world who demanded to have a look at BABY as they were very excited for it, we hear the BABY team specially cut a short teaser for everyone to have a look at it.The action-packed teaser takes the viewer behind the scenes and gets the viewer close to the pace and adrenaline of the film. The mutual respect and friendship that developed during the making of Special 26, led to Akshay becoming Neeraj’s first choice even when he was scripting Baby. The result was one action-packed ride while making the film. The shooting of the film spanned far and wide, from Kathmandu and Istanbul to Abu Dhabi, Mumbai and Delhi. Clearly the verdict is out, people have loved and enjoyed the film and seeing their very own actor in an action packed hard hitting avatar again! !